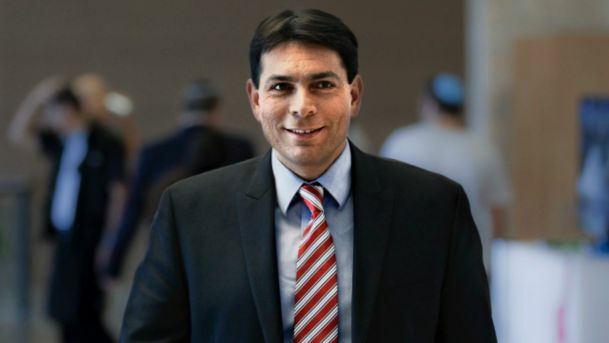 Israeli Ambassador to the United Nations Danny Danon said the Zionist regime enjoys warm relations with many Arab countries. “They still do not vote with us, but I can say that we have a relationship with them,” Danon told Israeli news website Ynet. Danon also said that US Ambassador Nikki Haley has dramatically “changed the atmosphere” at the UN. “Even on issues where it is clear that the Arabs have a majority against us, the United States insists on the moral majority, such as the scandalous decision that allows each year to fund anti-Israel propaganda activities for $6 million in the framework of the UN Palestine conference,” said Danon, referring to a recent UN decision to earmark millions in order to assist the Palestinian Authority (PA). The Israeli regime has long been known to have covert relations with Arab countries despite their ostensible anti-Israel stance. Energy Minister Yuval Steinitz revealed last week that Tel Aviv had covert ties with “many” Arab and Muslim states, but added it is obliged not to name them at the other sides’ request. “We have ties, some of them secret, with many Arab and Muslim states,” Steinitz told Army Radio. “Usually the one who wants those ties to be discreet is the other side,” he added, in response to a question about whether the ties are with Saudi Arabia. “We respect the wishes of the other side when contacts are developing, whether it is with Saudi Arabia or other Arab or Muslim countries,” said Steinitz.